Product information "Heavy Duty Self-Supporting Bar End Cap"
Tough plastic end cap for closing and providing a neat finish to the end of Molan Heavy-Duty Self-Supporting Glazing Bars. This versatile product can be fitted easily to the Main Intermediate Bar, Wall Bar and Gable Starter Bar. Fitting is straight forward. 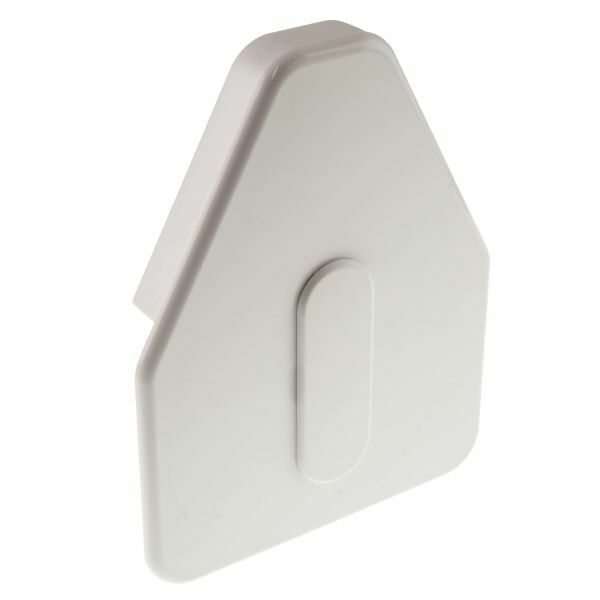 Start by ensuring any debris is cleared from the end of the glazing bar and remove the screw-cover cap from the End Cap. Position the end cap so that it's against the bar and the top lip sits over the glazing bar top capping. The end cap has 3 holes for screw fixing and one will aligned with the screw-port on the glazing bar. Simply screw through that hole and fit the screw cover cap once secure. Related links to "Heavy Duty Self-Supporting Bar End Cap"
Customer review for "Heavy Duty Self-Supporting Bar End Cap"